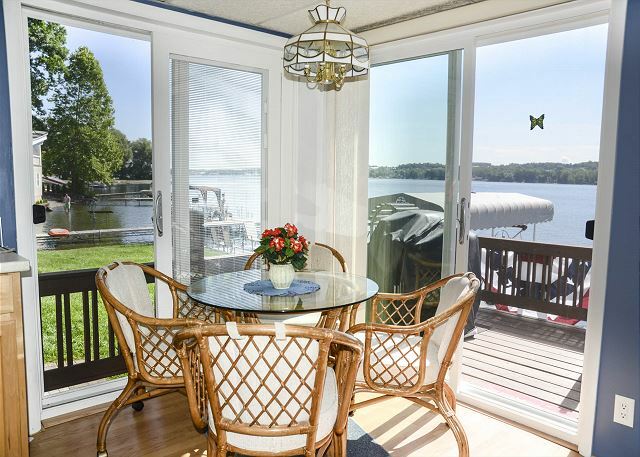 Looking to ‘Escape To The Lake’? 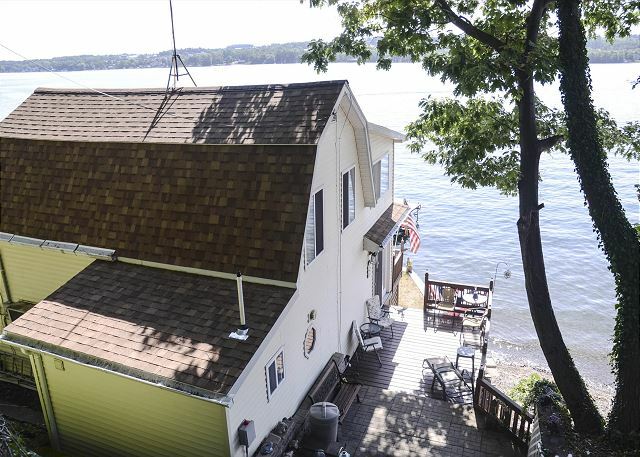 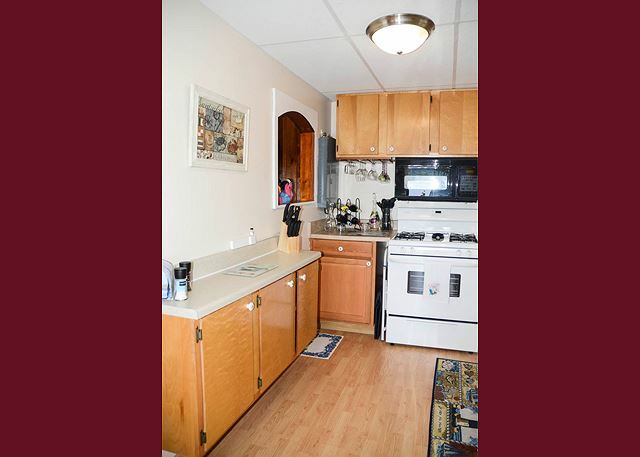 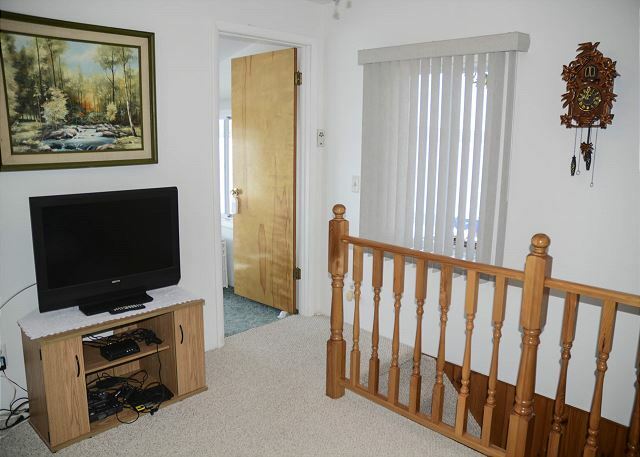 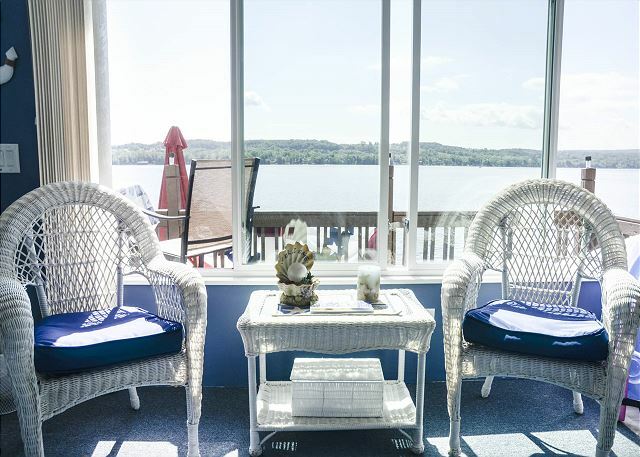 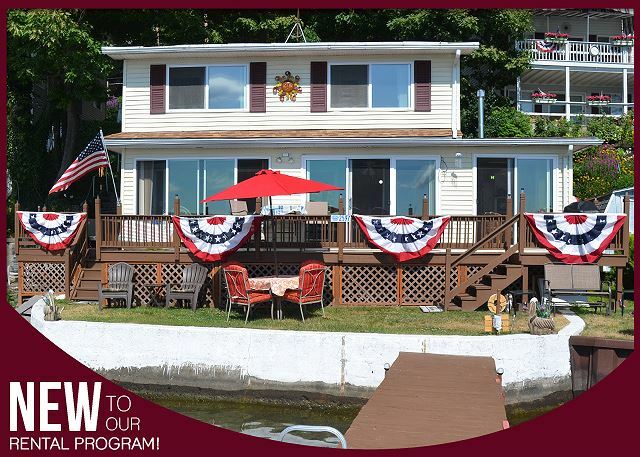 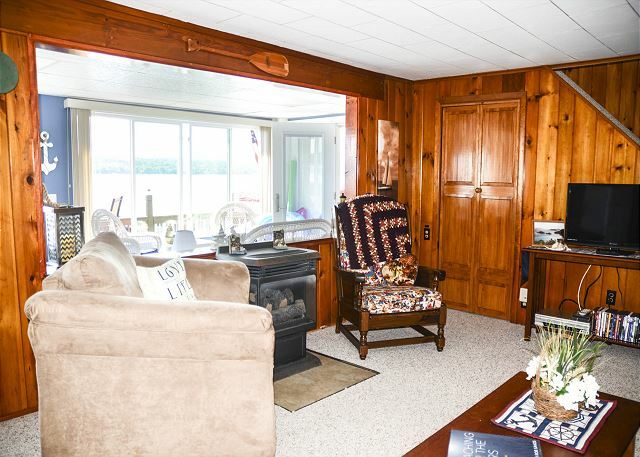 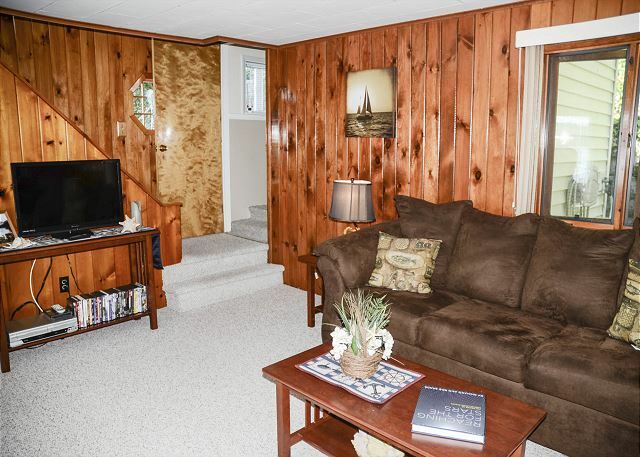 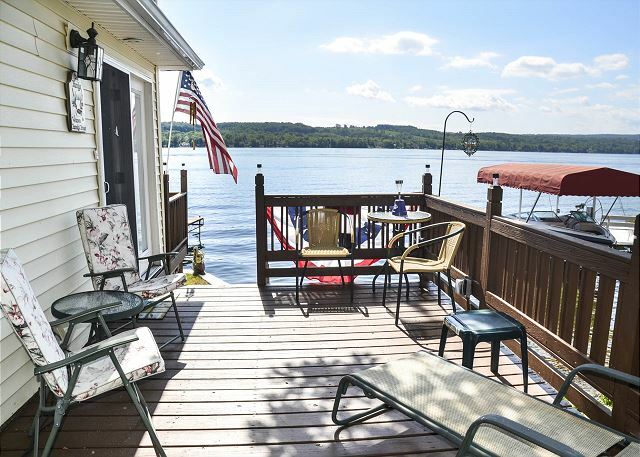 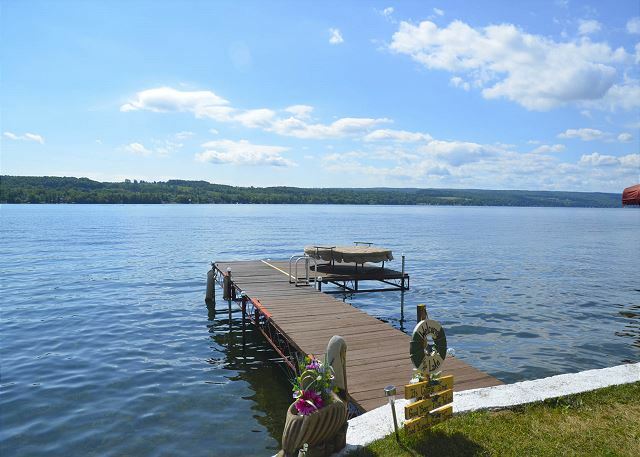 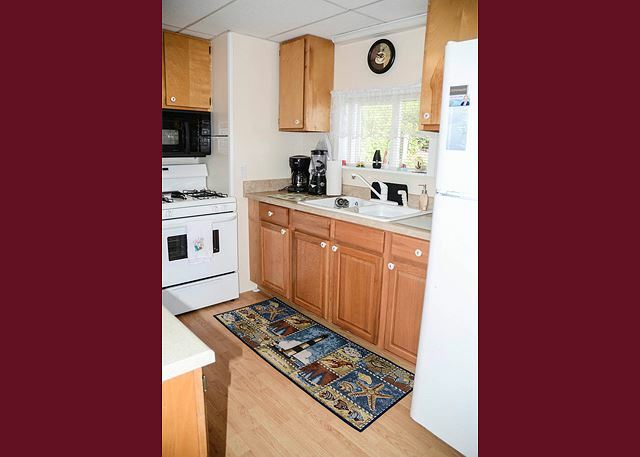 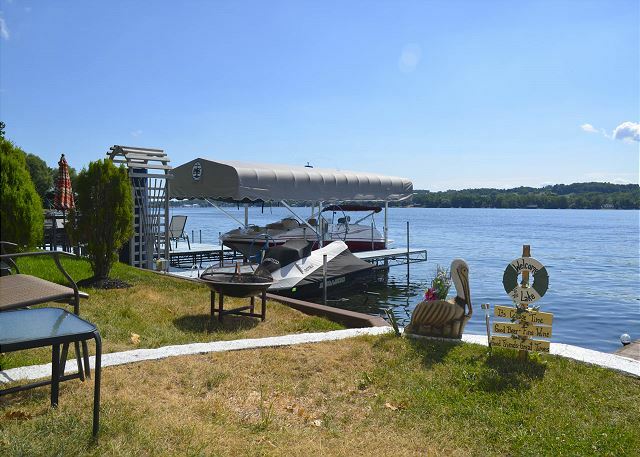 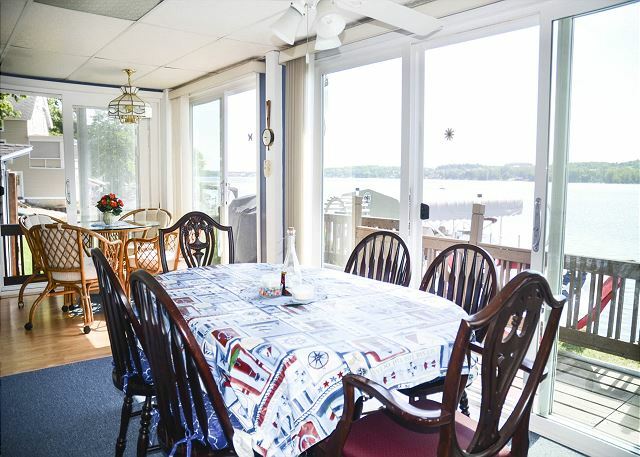 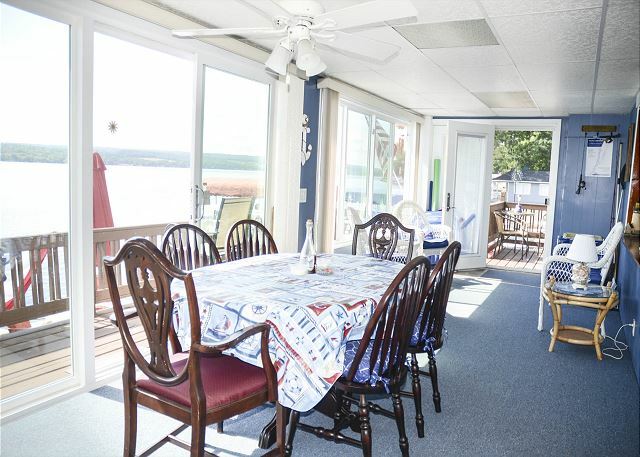 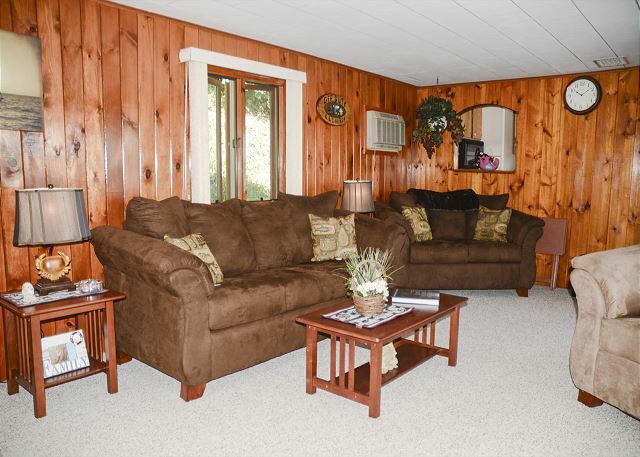 You'll find everything you're looking for in this relaxing, charming two-bedroom cottage directly on Keuka Lake – and only a mile from the pleasures and conveniences of town! 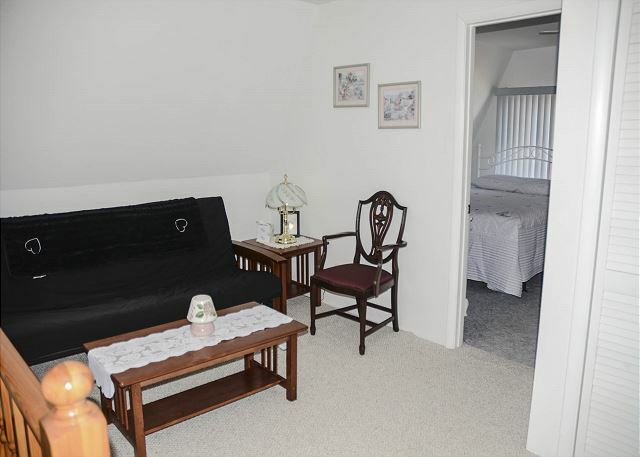 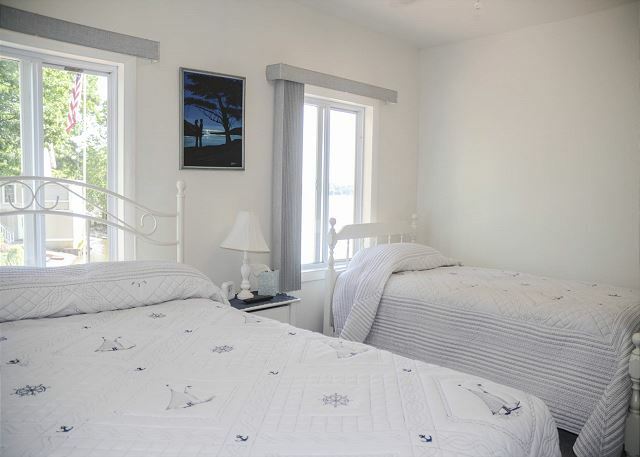 Head upstairs through the living room to find two spacious and beautifully-furnished bedrooms, one with 2 queen beds able to sleep 4 and the other with a queen and a twin to sleep 3. 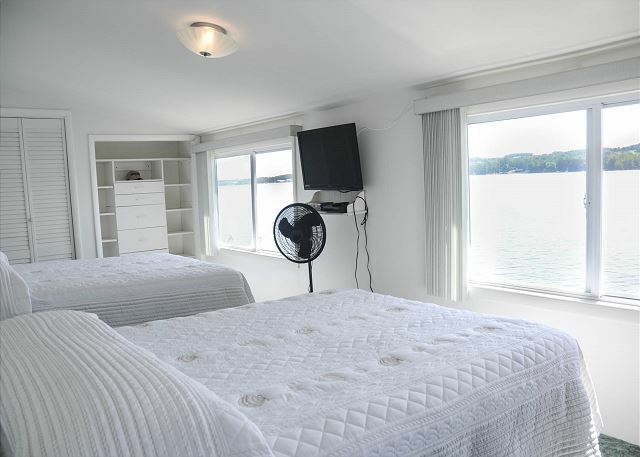 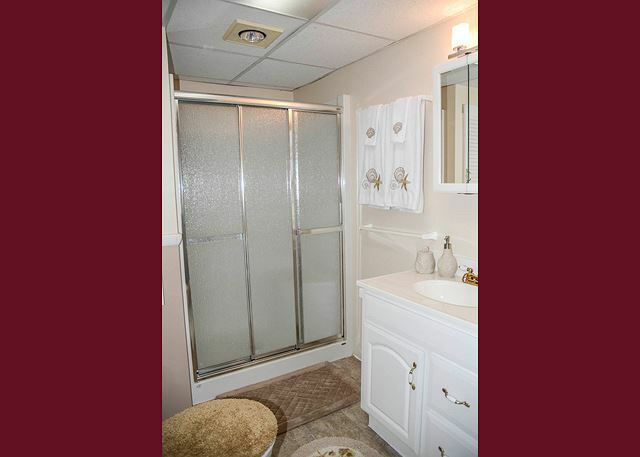 Just downstairs at the first landing, you'll find the nicely remodeled full bath complete with a spacious walk-in shower, making cleaning up after a day on the lake a luxury and a joy. 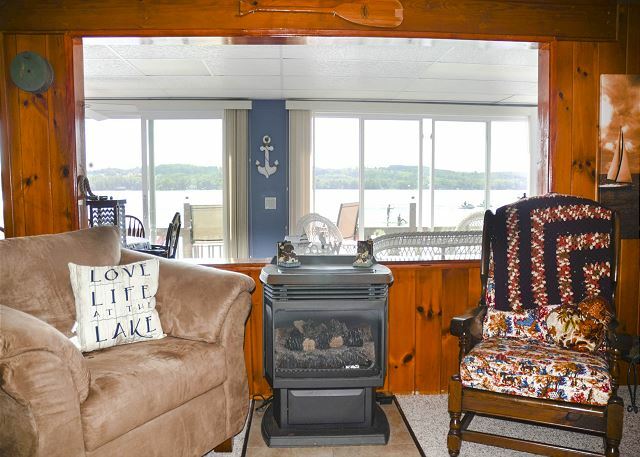 Those days on the lake will never be far off or hard to come by – this home is barely a few steps from its own 45 foot-long stretch of beach, complete with a fire pit for nights under the country sky, open-air decks for outdoor entertaining, and a 30-foot summer dock for swimming and exploring some of the most beautiful waters the Finger Lakes have to offer!